As a nutrition professional in corporate wellness, the majority of my work day is spent coaching a variety of people on the health goals they consider most important. This often includes managing or reversing chronic conditions like high blood pressure, high cholesterol, and Type 2 diabetes. However, the most common topic that comes up in my health coaching sessions is weight loss. There is nothing wrong with wanting to lose weight, though I do think our society is too weight-focused. As I have explained before, I don’t view obesity as the top public health problem to solve. Rather, I view obesity as the most visible symptom of other problems that need solving, like the ubiquity and artificial affordability of unhealthy food products. If we frame obesity as “the problem,” then too often the solution hinges solely on lowering caloric intake. This then manifests as a solution where minimally nutritious and highly processed offerings (i.e. : fat-free Cool Whip and sugar-free cookies) are prioritized over more nourishing fare (i.e. : a handful of pistachios or some dried fruit). In my line of work, I’ve noticed that many clients who structure their eating patterns exclusively around weight loss face more challenges and roadblocks than those who use better health as the main motivator to change the ways they eat. When you eat for health, there is no “cheating.” Many clients who are hyper focused on weight loss generally start off their visit by telling me, completely unprompted, that they have either been “good” or “bad” (“bad” is usually followed up with a confession of having “cheated”). This adds unnecessary and unhelpful layers of guilt, remorse, judgment, and negative self-talk to the act of eating. Additionally, since “cheating” usually implies profound enjoyment (i.e. : I ate pizza/tacos/cake/ice cream and it was SO GOOD), the other side of that coin is one devoid of pleasure. When healthful eating is perceived as a sacrifice or tasteless chore to achieve an end, the chances of building lifelong habits is slim to none. I like to remind my clients that healthful eating is about general patterns and the big picture. I encourage the 80/20 or 90/10 approach, where as long as 80 to 90 percent of foods you eat are health-promoting, the remaining 20 or 10 percent allow for special occasion foods, mindfully-chosen treats, or situations where healthful choices are not available. This minimizes guilt and negative self-talk, as there is no perfect ideal to rebel against. Eating for health is about inclusion, not deprivation. Most of my clients who eat solely for weight loss imprison themselves unnecessarily. When I ask what a typical day of eating looks like, I often hear the same handful of foods: grilled chicken breast, bun-less hamburgers, protein powder mixed with water (I can’t bring myself to call that “a shake”), egg whites, yogurt, and salad. These aren’t hearty salads with beans, avocado, seeds, and whole grains; we are talking lettuce, tomatoes, maybe cucumbers and shredded carrots, and fat-free salad dressing. Eating for health, on the other hand, is about opening up your culinary experiences and palate and trying new foods or new preparations of familiar foods (i.e. : chia pudding as a tasty way to include more seeds in the diet, roasted rather than steamed cauliflower, blended homemade dressings that use creamy cashews as a base). Eating for health is a long-term investment. When a client wants to improve blood pressure, cholesterol, or A1C (a three-month blood sugar average) values, I let them know dietary changes need to be maintained for at least three months in order to see noticeable changes. This helps establish a mindset that what one eats for the first ten days is meaningless unless there is consistency over time. Compare this to many weight loss-focused individuals who adhere to strict guidelines for the first five days, get on a scale, see “only” a one-pound decrease (even though one pound within five days is absolutely normal for healthy weight loss) and enter the vicious cycle of frustration, hopelessness, and returning to old habits. Eating for health looks at foods holistically. When I counsel someone on achieving better health, we talk about the health-promoting qualities of foods, including but not limited to: fiber in whole plant-based foods, magnesium in beans, nuts and seeds; potassium in leafy greens, heart-healthy fats in nuts and seeds. 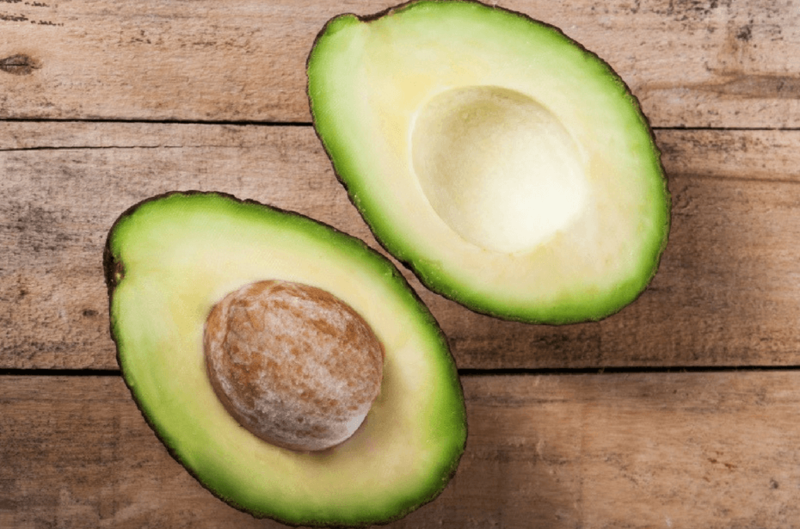 Pastries, sugary cereals, lentils, and whole fruits are not lumped together into the “carbs”category, and an avocado’s high fat content is not a reason to eschew the delicious creamy fruit. In fact, when you eat for health, many foods take on the role of helping you reach your goals. This is very different from a weight loss framework, where foods are judged solely on caloric content and a 100-calorie bag of mini Oreos is considered a “better” choice than a 150-calorie serving of almonds. Eating for health puts you more in touch with food, and prioritizes quality. One of the first things I do with my clients looking to improve their health is provide quick and easy recipes they can include in their culinary repertoire. In contrast, many who have weight loss as their sole goal tend to become dependent on ready-to-drink shakes, fat-free salad dressings, frozen low-calorie meals, and healthwashed diet snacks (think Special K chips). Or, even worse, it bolsters the notion that all that matters is hitting a certain caloric target, regardless of ingredient quality (McDonald’s diet, anyone?). The main takeaway: prioritize health and your chances of success are infinitely better. Andy Bellatti, MS, RD is a Las Vegas-based nutritionist with a plant-centric and whole-food focus who takes an interest in food politics, deceptive food marketing, sustainability, and social justice. His work has been published in Grist, The Huffington Post, Today’s Dietitian, Food Safety News, and Civil Eats, among others. He is also the Strategic Director of Dietitians for Professional Integrity, a group that advocates for ethical and socially responsible partnerships within the Academy of Nutrition and Dietetics. You can read more of his work on his Small Bites blog and can also follow him on Twitter and Facebook.